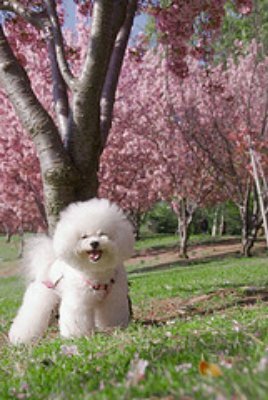 The Bichon Frise hair cut can be formal or informal, depending on whether your dog is a show dog or simply a pet with a casual hair style. The two different haircuts are called the pet cut or puppy cut and the show cut or Bichon cut. Hair cuts along with proper, regular combing and brushing, are what give this dog breed its fluffy powder-puff appearance. 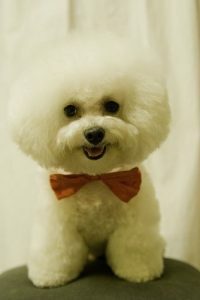 This is an example of a formal show cut on a Bichon Frise dog. The pet or puppy cut is the haircut most commonly seen on Bichon Frises. Most family pets who are not show dogs are given the simpler pet cut. The pet cut is easier to do and it is easier to maintain. This style is much more manageable, in part because there is less matting. This cute Bichon Frise has a pet cut. For the puppy cut, the coat is cut fairly short and in many cases it is clipped. You’ll need a good set of dog clippers if you are going to do this yourself. 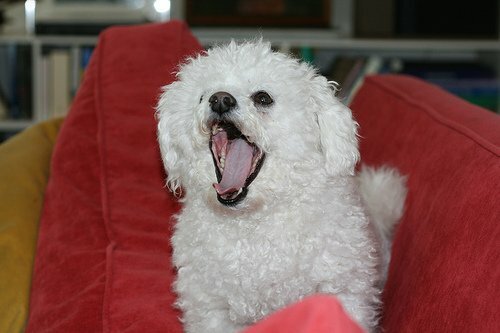 A cheap set of clippers will not cut through your Bichon’s thick coat very easily. Save yourself some frustration, and get good equipment! 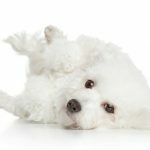 Even if your Bichon has the puppy cut, you should still brush and comb her at least 3 times a week to remove dead skin and debris from her coat and to keep tangles and matting to a minimum. If you will be having a professional groomer do your dog’s haircuts, plan on going to a professional groomer every month or two to maintain the pet cut. The other popular Bichon Frise hair cut is called the show cut or Bichon cut. The show cut is required for all dogs who will compete as show dogs. You may prefer this cut, even if they won’t be showing your dog. 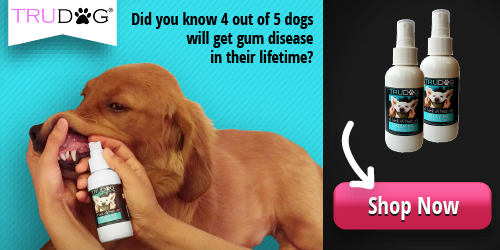 This cut is for people who have ample time to groom their dogs daily. The show cut is absolutely beautiful and you do this entirely with scissors–no clippers allowed here! Because the hair is much longer for the show cut than for the puppy cut, you will need to brush and comb daily, to eliminate tangles and matting. If you have lots of patience, lots of free time, and want the best possible look for your Bichon, then you might really enjoy this Bichon hair cut. 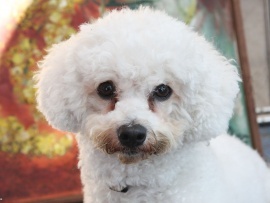 A return trip to a professional groomer is recommended every month to maintain the Bichon show cut. 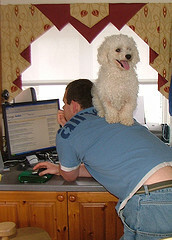 Or, better yet, learn to take care of your Bichon Frise’s daily grooming at home!